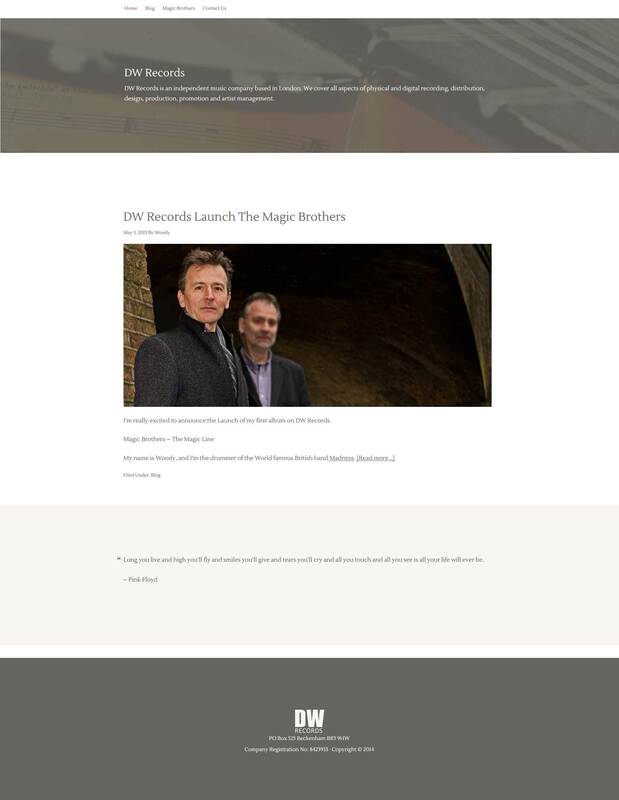 To compliment his Magic Brothers project, Woody, the drummer from Madness, required a website and branding for his music company. The spec’ was simple – a clean, uncluttered design with a focus on the core message of the business. The logo had to be simple and adaptable across all media includng online & print and scalable for cd artwork to posters. And deliver a classic music company feel.